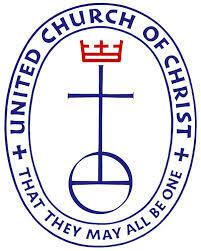 The avowed purpose of this organization shall be the worship of the triune God, the preaching of the gospel of Jesus Christ, the practice of loving service towards the needy, the building of the Kingdom of Righteousness, the furtherance of Christian unity, and the promotion of Christian fellowship among the membership. Membership in this congregation shall be open to any person who desires to lead a Christian life, who has been baptized and confirmed in the United Church of Christ, or has already been baptized and a communicant member of another Christian church, who acknowledges faith in the doctrine of our Church and obligates himself to attend divine worship, to commune regularly and to contribute to the support of the Church. Governance: St. John’s is led by an elected Consistory of Members including 8 Elders who assist the Pastor with Spiritual and Ministry Issues, and 8 Deacons who deal primarily with the financial well-being of the Church. The Consistory meets monthly and also adds leadership to the various ministry teams within the congregation. Team Structure: St. John’s has ministry teams of consistory and non-consistory members including: Church and Ministry, Visitation, Outreach, Christian Education, Property, Evangelism, Praise and Worship, Youth, and Royal Rangers. These teams provide the opportunity for membership to be more active in the ministry and outreach of our Church within the faith community and wider community. Pastoral Leadership: In the United Church of Christ the Pastor is both Spiritual Leader and Teacher. However, the work of the Church is not for the Pastor alone, the Pastor’s role is to assist and equip the members to fulfill the role of the Church of Jesus Christ in the local community and in all places.